HCC is entitled by its Articles of Association to elect Directors who also serve as Trustees of HCC at the Annual General Meetings in terms of the provision of the Articles of Association. The maximum number of members of the Council excluding co-options shall be 9. The Council may co-opt 2 members into the Council. These 2 members shall not have the voting right. I have been a Chair of the HCC year 2018-2019, Chinese School Committee Member and Chair of Women's Group since 2014. Self-employed & Foodstuffs Sales Representative and Chinese School parents group representative. School Committee Member since the year of 2012 till now and Chinese School Teacher from 2013. I am Gavin Fung, Chartered Architect. I have a Master degree of Environment Design Engineering. I have been a Chair of the HCC year 2012-2013 and Treasurer for year 2010-2012 & 2017-2018. I was parent of Haringey Chinese School which is part of the main project of the HCC. I would like to contribute back to our Chinese community by taking part into the Management Committee of HCC helping to build up a healthy and happy Chinese community in the borough of Haringey. I am originally from Hong Kong, and I came to the UK eighteen years ago. I currently work in an architectural practice in London as an Associate Architect. I moved to Haringey with my wife. Since then we have had two daughters, who are both attending the Haringey Chinese School. It was because of the Chinese School that we have come to know the Chinese Centre, to which we are thankful for all the hard work for bringing benefits to the local Chinese community. I would like to make my positive contribution to the Chinese Centre and help improve the services to the community. I am a kindergarten teacher, worked as the Chinese School teacher in East London. Also worked as volunteers to help with different Chinese Centres. I was born in lslington, grew up and attended schools in Haringey. The Chinese Community Centre has always been known to me but I didn't use the services, until last September when my 5 years old son started Saturday Mandarin classes at Chinese School. 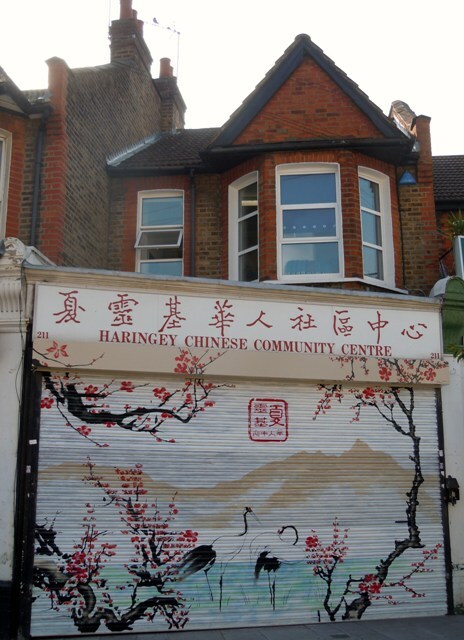 I am a volunteer at the Haringey Chinese Center, responsible for the activities of the women's group. I have witnessed my father for a long time volunteer for the Chinese community, respected by the neighborhood. When I first arrived in Edinburgh, I was given the selfless help of the volunteer, helping others!